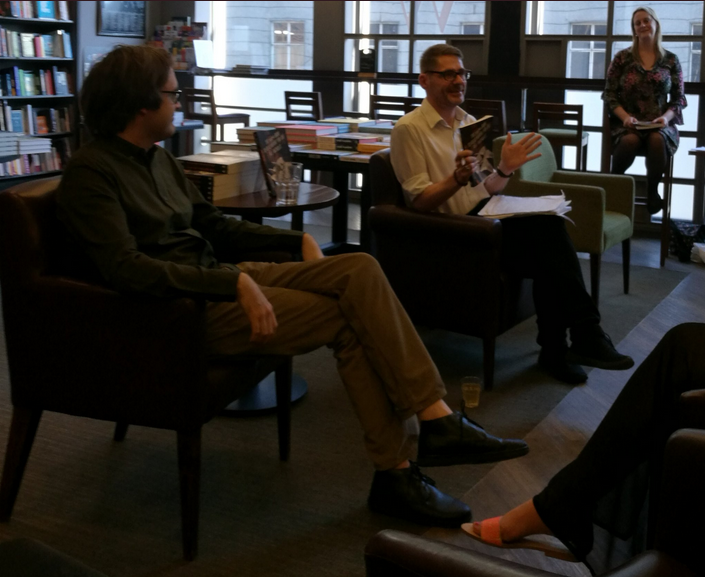 Last weektime, I attended launch events for the novel to which I contributed some nouns and miscellaneous burbles. In fact, it is not braggadociolicious to say that I wrote most of the nouns and miscellaneous burbles in this novel using my own unmanly digits and that small part of my cerebrum where mildly vicious comic prose is located. This novel I mainly wrote, The 1002nd Book to Read Before You Die, concerns a man who wants to read a millenary-plus-one of novels on the Orkney Isles, a man who swiftly fails, then has relations with an eccentric librarian for something else to do. 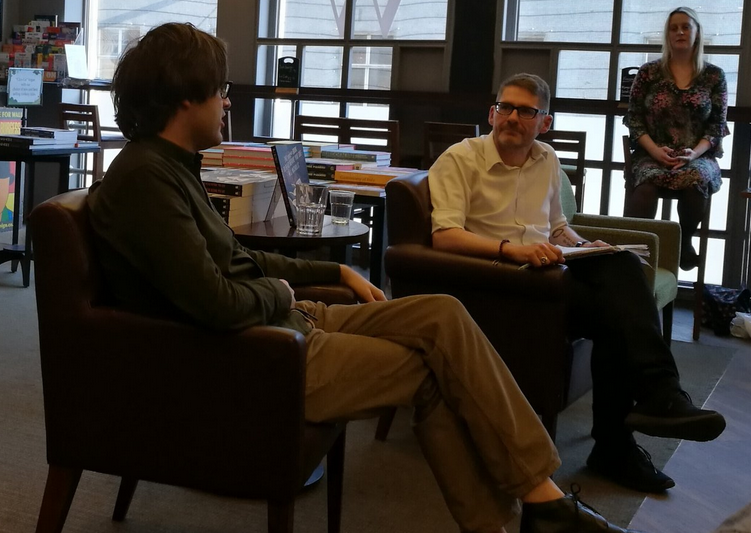 The first launch event was in Waterstones in Glasgow, where I sat on a chair opposite Kevin MacNeil, Scottish poet and novel-man (author of the excellent novels The Stornoway Way, A Method Actor’s Guide to Jekyll & Hyde, and The Brilliant & Forever), and made sounds through my facehole. 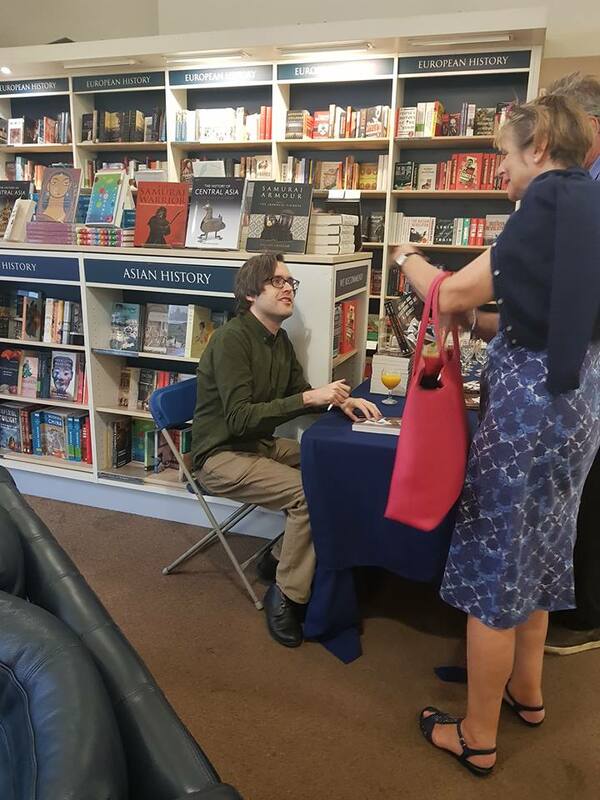 One large day later, I attended a book shop in Edinburgh called Blackwell’s, a spiffing establishment where I used to hoover up texts as an undergraduate in between reviewing Pixies albums in the library and loathing myself with a ferocity unseen since last week. 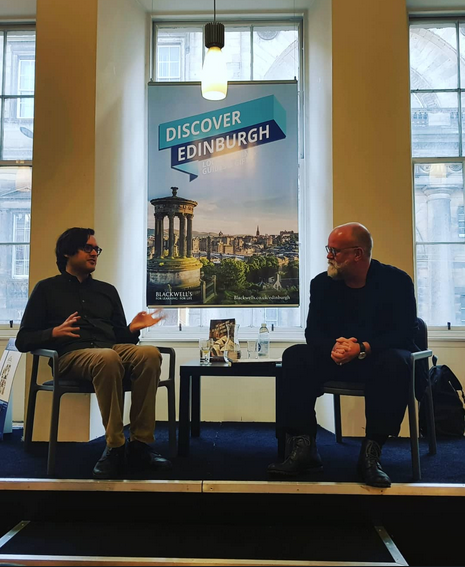 I sat beside excellent book blogger Alistair Braidwood (from Scots Whay Hae), who asked me things about the words I had written, to which I replied with various vocal gymnoplasties, most of these edging soberly towards the edge of incoherence, some lightfantastically tripping along a line of intended meaning. Later, we had hops.